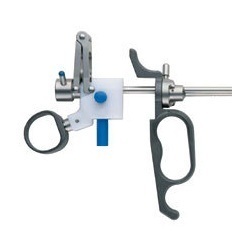 We are offering a wide assortment of Instruments for Resectoscopy in various specifications to meet the desired requirements of our prestigious clients. 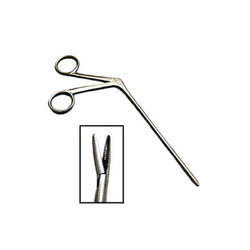 Our wide range of Urology Resectoscope Instruments includes Working Element-Active, Working Element-Passive, Continuous Flow Sheath – Rotatable, etc. Our range of Active Working Element is highly acclaimed among the users for its various features such as durability, dimensional accuracy, reliability, easy to use and maintain and longer functional life. 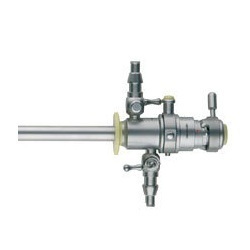 This range of Resectoscope Working Element is available with in various specifications such as 001-001 with open handle, 000-001 with closed handle and 000-011 Rod for working element. We bring forth a qualitative range of Rotatable Continuous Flow Sheath, which is manufactured from high grade of raw materials using advanced technology and latest machineries. Our range of Continuous Flow Sheath is suitable to use with scopes of 4 mm diameter and 302 mm length. This is used to maintain the fluid pressure. Our entire range of products is well tested on various quality parameters before making them available in the market. 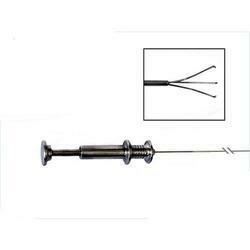 We are one of the leading suppliers and exporters of the Passive Working Element. We procured from reliable and certified vendors available in the market. This is specially designed with various specifications such as Aluminium handle, Single stem, electrode keep inside the sheath in still position and many others. 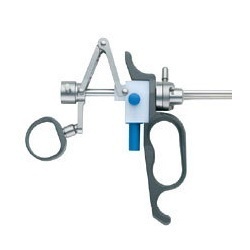 This range of Resectoscope Working Element is fabricated from high grade of raw material to ensure qualitative range to our valued clients.